Sirocco getting Pie. Next in Line after Nokia 8 according to Mr. Juho Sarvikas on twitter. Don't want to be an antagonist here, but I think the only pie build that was tested was the one the Sarvikas family ate at the dinner table this Christmas, while a Sirocco was laying on the dinner table, or a Sirocco advert from the local TV station was playing on the family TV (I don't know just my opinion). That's the closest it came to a Pie build being tested for the Sirocco for clarification. "Pie , Pie , pie" Is the end of earth? Wait few days and done. Problem is release of phones. Nokia released so much smartphones and phones this year and is hard to give Android Pie to all. Yes but it can also launch for Nokia 8 Sirocco. And another thing andrew, sure they released a lot of devices, I don't have a issue with that, but don't prioritize new devices like the 7.1 etc. and keep us waiting when our devices are 2017 (Nokia 8) and early 2018 (Sirocco) devices. Would you like to wait in a queue at a shopping centre to pay for something then be told no sorry go to the back of the queue as the customer that just walked in should pay first and leave? I bet you wouldn't be happy-chappy if that was done to you? Now maybe you will see what we have a problem with. @andrew.877 No sorry mate that's a bit far fetched if you ask me. Not until I see that sentence clearly written on twitter stating the Sirocco and seeing the firmware update on my screen busy downloading... I will take it with a pinch of salt. Well that was quickly proven to be nonsense. What is it that makes the Sirocco soo hard to update quickly? I guess they're trying to port the launch camera app from 8.0 into 9.0 because HMD/Nokia logic means their flagship phones can't be allowed to have a camera app update lol. 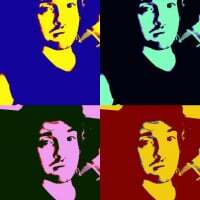 If this update drops in January and we still have the old camera app HMD deserve to crash and burn the Nokia brand again. It's probably going to be the end of January and if the November internal betas are anything to go by half the features of Pie are missing lol. I think the Android One program stops HMD being able to release Pie missing features on the Sirocco so here is hoping. I'm pessimistic about the camera app though after the Nokia 8 Pie update. The Sirocco is in the exact same position. We cannot use the playstore Nokia Camera app and we haven't seen one update since the launch app. The camera app on the Sirocco is the same as on the Nokia 8. Its an Android 7.0 compatible app. Newer versions of the Nokia Camera app are Android 8.0+ only. The Nokia 8 launched on Android 7.0, but the Sirocco launched on Android 8.0. The Sirocco should not be using the same app version as the Nokia 8. If you install later Nokia Camera app apk updates on the Sirocco though they freeze during picture processing. We pretty much have to use hacky gcam ports to make the Sirocco camera even half decent. My Galaxy S6 takes better pictures than it with its default camera app. Honestly, I am waiting to try the new Gcam build which only works on Pie as soon as the Pie is out for the Sirocco. Surely, the Nokia stock camera is improving slowly with each update but the Gcam camera algorithm and image processing is years ahead of Nokia Camera which pulls me towards the Gcam more and more. But, given Nokia was great with their camera software back in the Lumia days I don't know how come they didn't figure it out for so long in their Android Devices. Sadly, I have stopped using the Stock Camera. But, I will surely try if there is a new Nokia camera update just for the sake comparison and to see how much they have improved. There have been zero updates to the Sirocco app. It's the same as stock. The app itself is from the older 2017 branch of the Nokia Camera app which as above is compatible with Android 7.0. This was needed last year as all the phones pretty much launched with Android Nougat. HMD basically copy/pasted the Nokia 8 OS into the Sirocco. Okay, somewhat understandable as a base platform, but the lack of tailoring Android to the Project Treble enabled Sirocco device is what has us in this mess. Instead of treating this device as its own phone HMD can't be bothered and seemingly just want to view it as a Nokia 8. 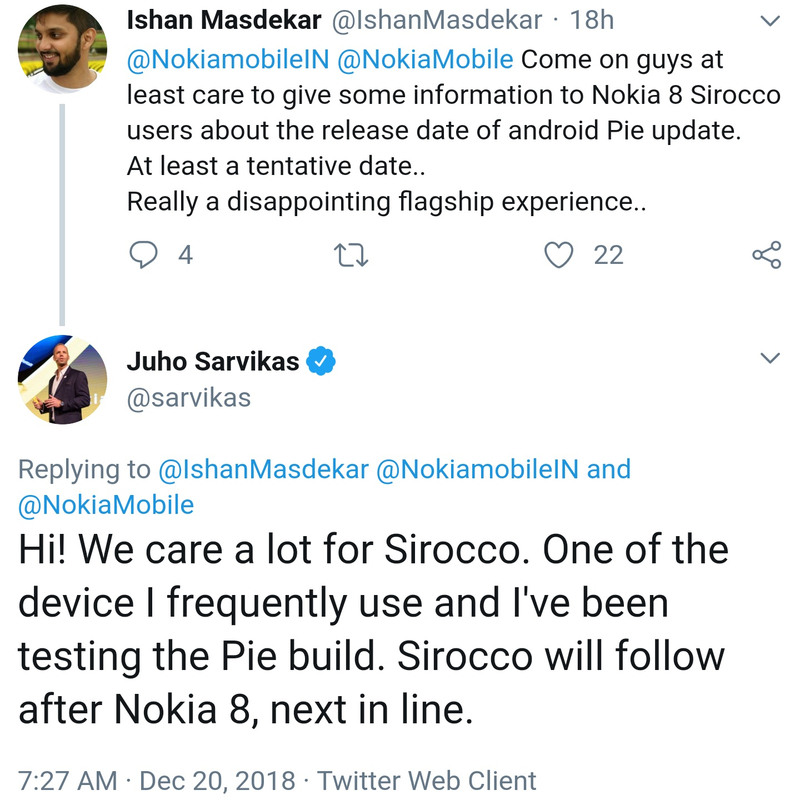 As I also said above I think the only thing saving us from HMD putting the feature missing Android Pie Nokia 8 update on the Sirocco is the android one license. They promised to update the Nokia 8 camera app with Pie and didn't. The later camera app updates have far better post processing. Not Gcam levels but better than what we have. Anything past 8.02 won't work on the Sirocco as they are the camera apps made for 8.0+. Further more explanation from Mr. Juho Sarvikas on why the update is late for the Sirocco. Well then tell us what it is @juho don't beat around the bush. Is it the camera app, is it a hardware issue, for example drivers for the hardware that conflicts or awaiting a driver? I think we have the right to know at this stage. These half baked insinuations and comments just doesn't do it for me anymore, don't know how the other Nokia 8 and Sirocco users feel? I feel absolutely the same! I'am very disapointed. Probably the camera, as some effort will have to go into making it work properly with Android 9.0 under the Android One license. Not like the Nokia 8 which was basically a Pie theme skinned 8.0. Though I wouldn't be surprised if we somehow have to sit through 2+ months of delays and still get no camera update. And about Pie on 8 Sirocco , possible in 2k19 Ian. Anytime once you get it. I have nothing to say yet and leave you alone, I say to you now, Happy New Year! Instead of treating this device as its own phone HMD can't be bothered and seemingly just want to view it as a Nokia 8. As I also said above I think the only thing saving us from HMD putting the feature missing Android Pie Nokia 8 update on this phone and calling it a day is it being an official Android One phone. But I remain pessimistic the Android One program will save us from HMD never updating our camera app. They promised they'd update the Nokia 8 camera app with Pie and failed to do so. Gcam for 8 oreo Is available. I had lot of hope about Nokia 8(2017) when I purchased it in 2018, i was thinking that Nokia will provide updates at the earliest and will fix camera low light issues and provide new camera software with ARC support and ARC emojis night shift mode etc. Most awaiting Pie declared Nokia by 19 December and 1 week before that received Pie Beta. I enrolled in the Beta program and started using it for a week and I found that Camera low light issue not resolved, and software is old as any 5000 rupees phone only difference I could find that ARC integrated with camera and interface options are buggy and distorted menu, I reported this Nokia and after few days received an email from Nokia that they could not find any Bugs and Beta version will be the Final version hence requested to continue with Beta or revert to Oreo to receive Pie OTA. I rolled back on 21st of December and and from that day no news about Pie. Today I decided to sell the Nokia and and I felt it is never promising and major important Pie fetures are missing. I moved my data and contacts to my old iphone 7(still receives latest updated and great support and performance). Good Bye Nokia 8 Flagship **** Cheat Phone. Pretty much off-topic. 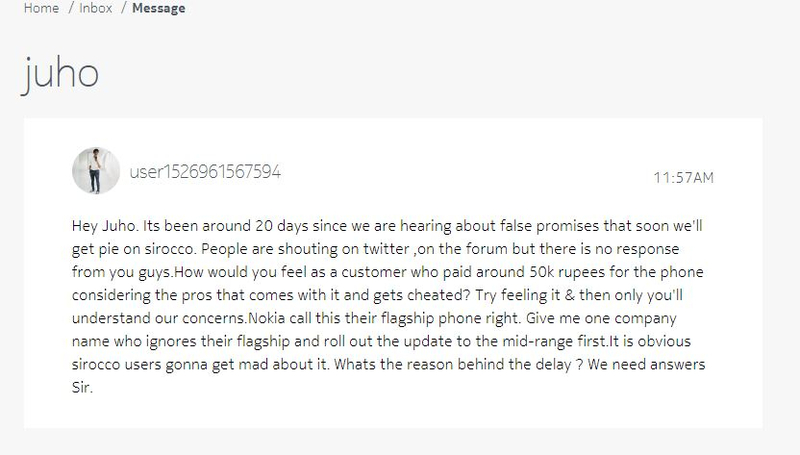 This is the Sirocco forum, not the old non-flagship Nokia 8, and a thread about a tweet on the Pie update for the aforementioned device.